The importance of sigmodontines to humans cannot be overstated. Some species cause much damage to agricultural lands and stored foods. For example, in Formosa Province, Argentina, the water rat Holochilus chacarius is reported to damage banana, mandioca, and sugar cane plantations. Similarly, in the Mexican state of Veracruz, the cotton rat Sig-modon hispidus and rice rat Oryzomys couesi are plagues on sugar cane plantations of such important magnitude that eradication plans are being designed. It is estimated that a single individual of Calomys laucha or Akodon azarae, which consume stored foods in farm and village structures, can eat 2.2 to 4.4 lb (1-2 kg) of food per year. Other sigmodontines are the reservoirs of the etiological agents of a number of human diseases. In South America, all hantaviruses known to cause Hantavirus Pulmonary Syndrome are associated with species of sigmodontine rodents, including different long-tailed mice of the genus Oligoryzomys, the field mice Necromys benefactus and Akodon azarae, the vesper mouse Calomys laucha, and the cotton rat Sigmodon alstoni. In addition, the vertebrate reservoir of the Machupo virus, the etiological agent of the Bolivian hemorrhagic fever, is a non described species of vesper mouse (Calomys). 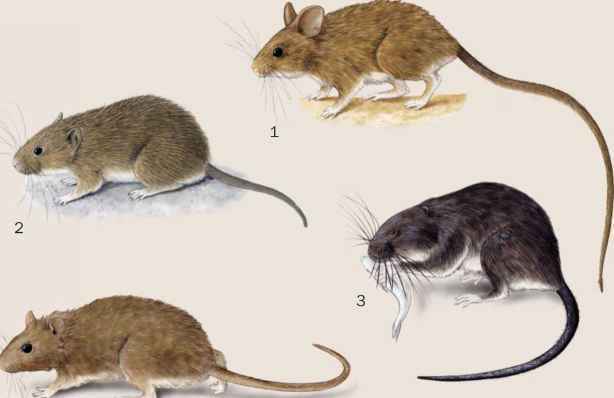 Similarly, the reservoir of the Junin and Guanarito viruses, which cause the Argentine and Venezuelan hemorrhagic fevers, are, respectively, the vesper mouse Calomys musculinus and the cane mouse Zygodontomys brevicauda. 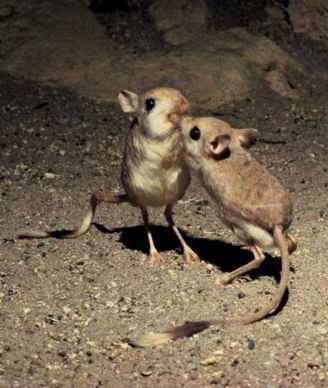 Finally, it has been shown that the forest mouse Akodon montensis, the long-tailed mouse Oligoryzomys nigripes, the subterranean mouse Thaptomys nigrita, and the rice rat Oryzomys russatus are reservoirs of Borrelia-like spirochetes which cause a Lyme disease simile. On the other hand, many sigmodontines species are beneficial to man by the role played in ecosystems. Some are keystone species in maintaining the vigor of ecosystems, through their role in dispersing seeds (e.g., Oryzomys intermedius) and/or being prey of many medium- and large-sized vertebrates (e.g., owls, snakes, and other carnivores). Other species are directly exploited by man. For example, the chinchilla mouse Chinchillula is trapped for its thick, soft, and silky fur. Trimmings and robes are made of these skins. Remarkably, one of these robes may contain more than 150 skins. Zoo-archeological work indicates that during the Holocene period, sigmodontines did not represent a food item for the indigenous peoples that lived in the areas that are now known as the Argentinean Patagonia and Pampas. However, present Mbyá Guaraníes from Misiones, Argentina hunt and eat sig-modontines. Finally, some species play an increasing role as "domestic animals" used in medical research; this is the case of Calomys laucha and C. musculinus.